Heavy rain at the start caused chaos throughout the race, especially at Turn 3, where a sort of river had formed across the track and caused a number of people to spin off. Antonio Pizzonia, Juan Pablo Montoya, Michael Schumacher and Jenson Button all saw their races end at the corner - Mark Webber almost did, too, but was able to get going again: he was destined for a more significant race-ending crash later on. Up at the front, Rubens Barrichello was looking a strong contender to finally manage a home victory, only for a problem with the fuelling system to leave him stranded at the side of the track. That left David Coulthard in the lead before he pitted, Kimi Raikkonen took over the top spot, and he was then passed by the Jordan of Giancarlo Fisichella, who’d taken the strategy of topping up with fuel under the safety car at the start and running as far into the race as possible without stopping. Around that time, Webber binned his Jaguar in a big way at the top of the hill. Unsighted, Fernando Alonso charged around the corner (perhaps going a little fast for the double-waved yellow flags) and crashed into a stray wheel, an even more massive accident and causing the race to be red-flagged. In such a scenario the race result gets counted back two laps, which meant the results went back to the end of lap 53 and making Raikkonen the winner from Fisichella and Alonso. However, there had been some confusion over when the red flag had been shown, and a few days later it was discovered that Fisichella had just started his 56th lap when the race was stopped. 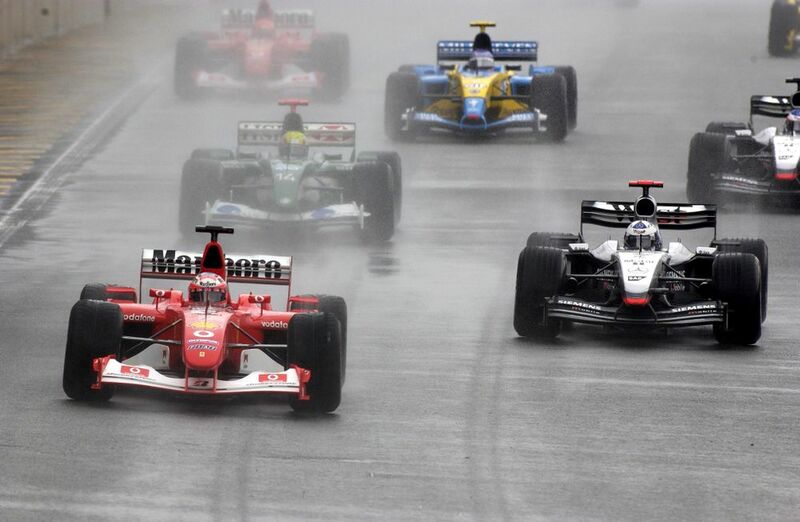 That meant the result should have been taken from the end of lap 54, making Fisichella the winner with Raikkonen second. The matter went to the FIA court of appeal and, five days after the race had finished, the final order was confirmed: Fisichella first - his first win and Jordan’s last - Raikkonen second, and Alonso third. 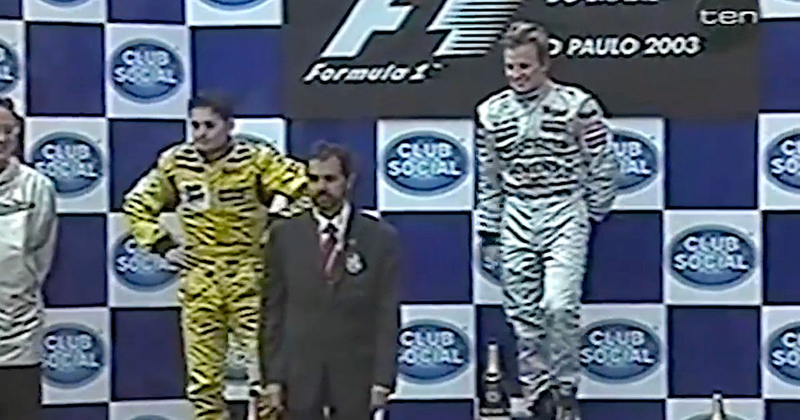 Since they’d stood on the podium in Brazil in the wrong order and with Alonso absent due to having a trip to the medical centre, it makes the podium for the 2003 Brazilian GP perhaps the most incorrect of all-time. Felipe Massa took a rather straightforward win ahead of Kimi Raikkonen and pole-sitter Robert Kubica. Lewis Hamilton had a horrible race - he made a terrible start and then crashed into the back of Fernando Alonso’s Renault, dropping him right to the back after a front wing change, and he could only recover to 13th. Formula 1’s 900th world championship race was an absolute stonker as a late safety car left the two Mercedes drivers to fight it out on track for the final 11 laps. 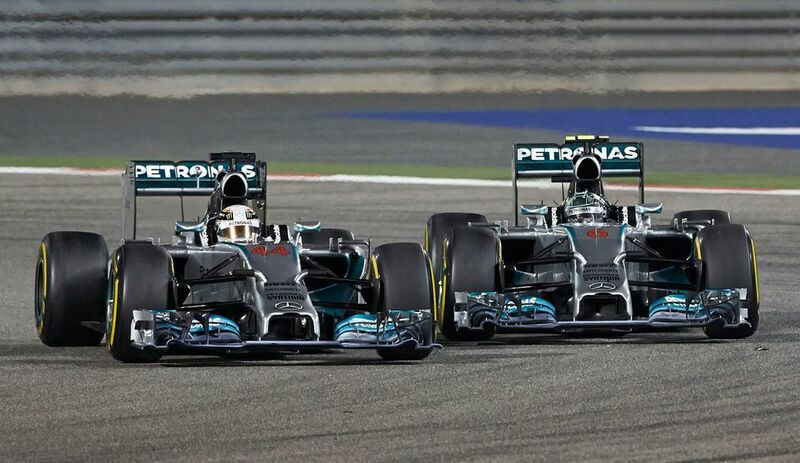 Hamilton and Nico Rosberg put on an incredible show - although Rosberg had the fresher tyres, Hamilton’s defence was rock solid and he remained ahead at the chequered flag. Depressingly for the rest of the field, the two drivers had managed to pull out over two seconds a lap on the rest of the field, with third-place Sergio Perez ending up 24 seconds behind - despite the fact Hamilton and Rosberg were constantly fighting each other. Hermann Lang (born 1909) had most of his success in grand prix racing before the Second World War. He did make a brief F1 comeback and started two races - the 1953 Swiss GP, where he finished fifth, and the 1954 German GP, which he spun out from. Although he still had the speed, the errors convinced him that the time had come for him to retire.